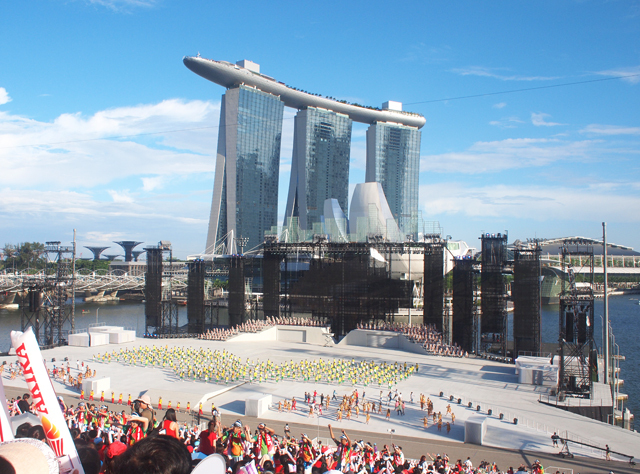 Like most of you, before this I had only been to the National Day Parade preview once - in Primary 5 together with the rest of the Primary 5s in Singapore. At that age, I was still young and I only remember it as a fun school outing and a scorching day. I was very excited when I got news that I can watch the preview this year! I knew it was going to be a total different experience for me, because this time being a Singaporean is deeply rooted in my heart and at my current age, I'd be able to really appreciate being a Singaporean a lot more. I really hope one day I am able to get tickets for the actual day! 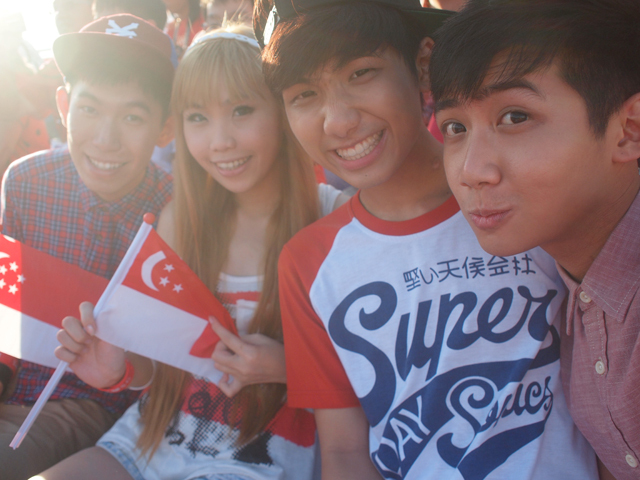 The atmosphere in the stadium during National Day confirm very high and full of love one! Randy and me had a pair of NDP preview tickets each, so we brought Benjamin and Isaac along! I really think Singapore is so beautiful! 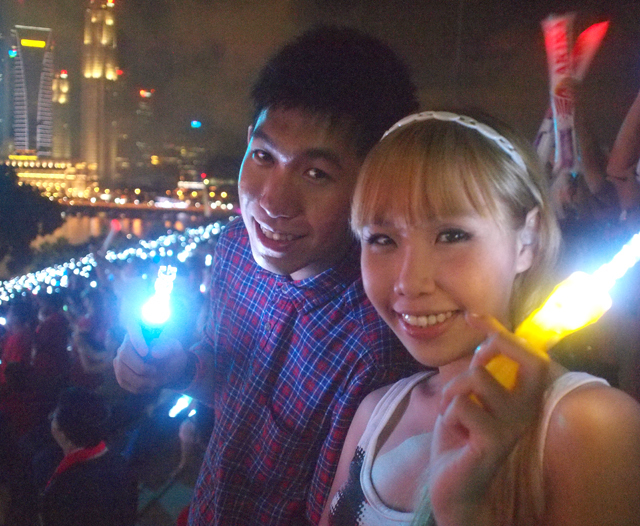 I am very happy to be involved in Singapore NDP 2012 as an official blogger! 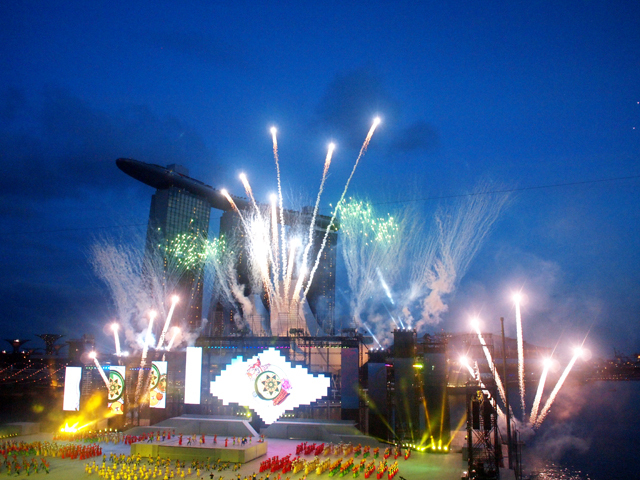 I have always expressed my love for Singapore and I think that this year's theme is very meaningful - Loving Singapore, Our Home. I yearn to travel and explore the world. But Singapore will always be my home in my heart. 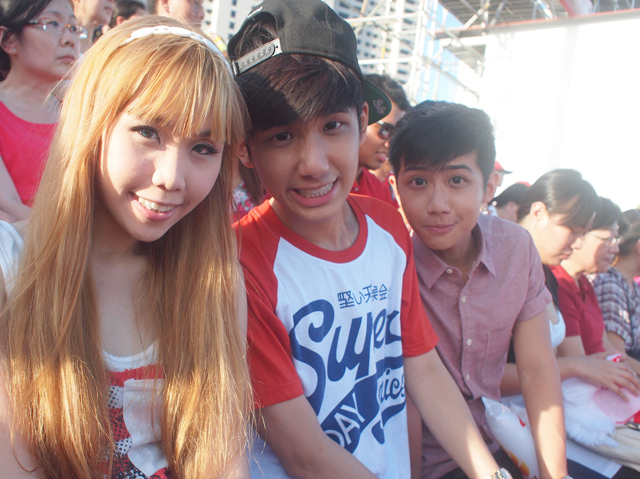 No matter where I go, I would eventually want to come back to Singapore because this is where I belong! 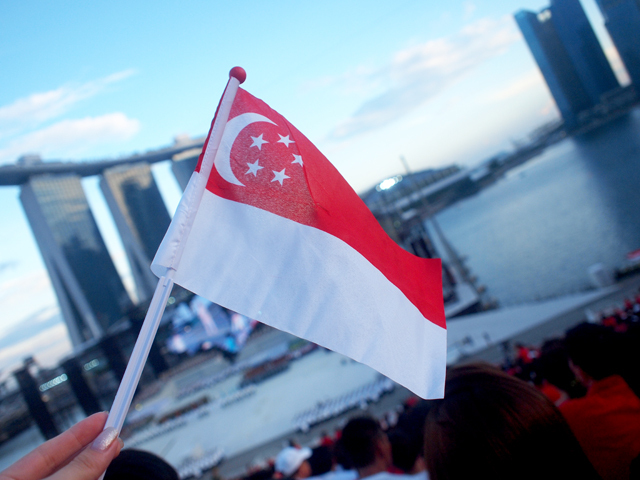 After all, Singapore is our home, the place we grew up in. Of course, it is not entirely perfect but I feel very blessed to be a Singaporean living on this little sunny island. 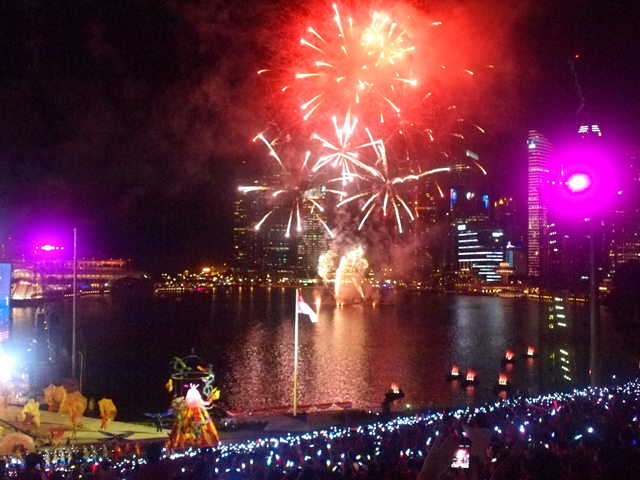 Remember when we were kids and in class we had to draw all the Singapore flag, Orchid, Singapore island outline and the Merlion representing Singapore? 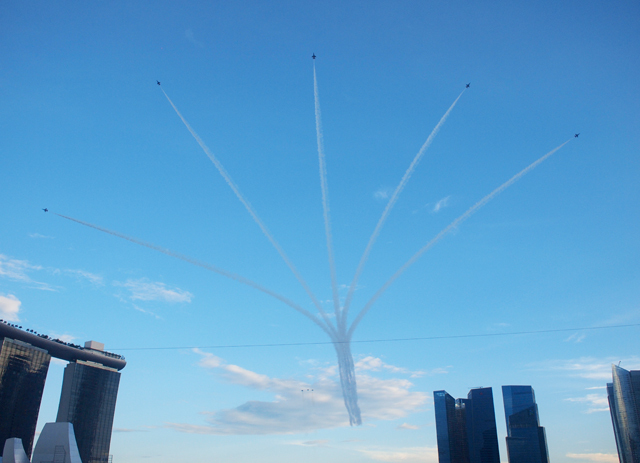 Now kids have to draw MBS, Singapore Flyer, Esplanade etc. Haha. 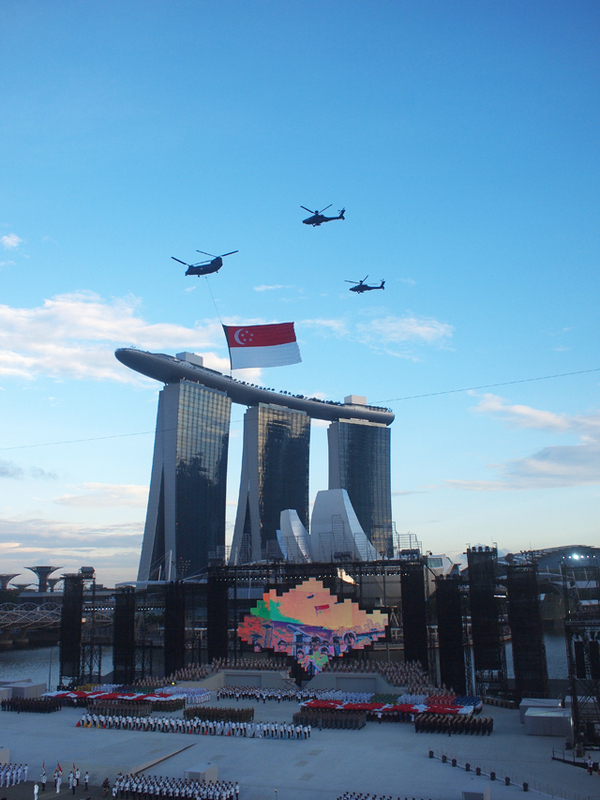 We all remember this sight of the helicopters holding the flag. Last time I tried drawing this to impress my teachers when others mostly drew the typical stuff! I was so shocked to know that those people standing in the parade actually stand still like that for so long! I always thought they only march in and then out already. It must be so straining for stand under the hot sun without being able to move! 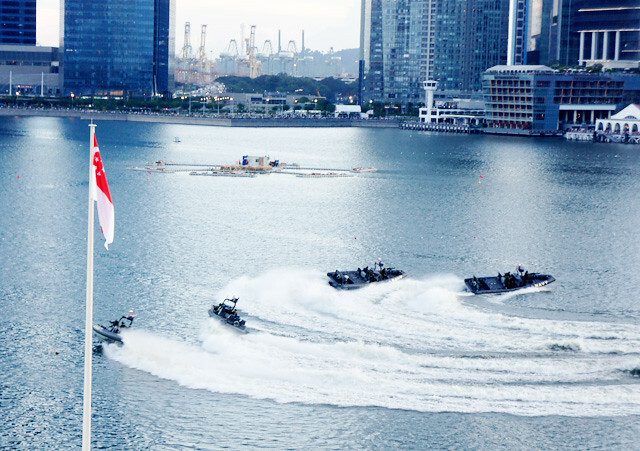 But a couple of my guy friends told me that it was a memorable experience being part of the parade during their NS days and through the time they spent standing down there really makes them feel full of pride and love for Singapore. 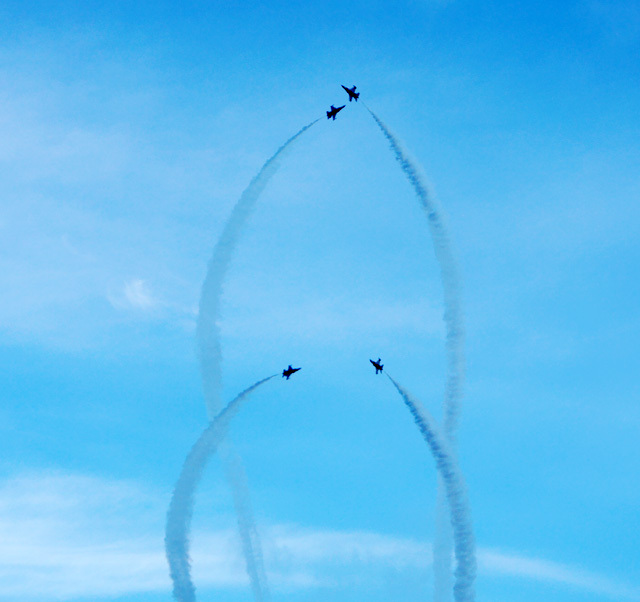 The air show was spectacular and one of my favorite segment of the show. These navy ships made a heart shape with their waves! So cool right?!!!! We all tried our best to be in red and white. Most of the audience made the effort too! 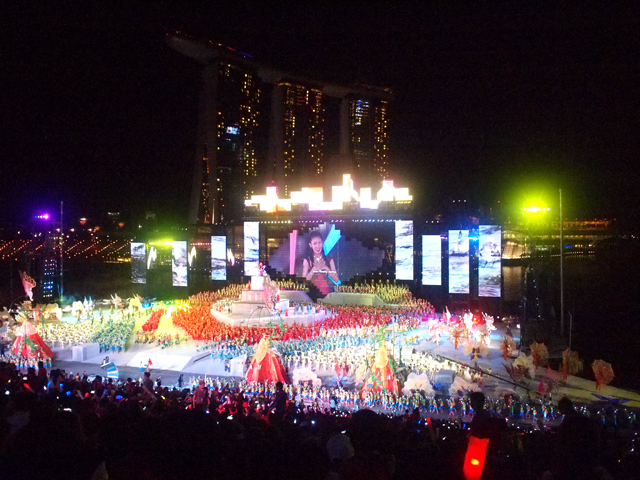 In my previous post regarding NDP2012, I mentioned about the LovingSG: One Heart, One Voice activity. 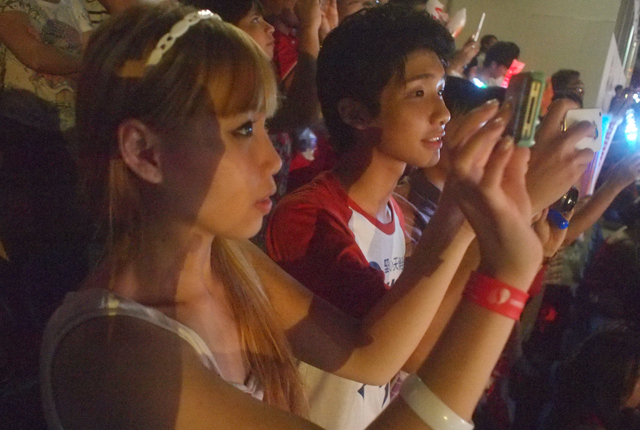 The project invited Singaporeans to send in video clips of themselves singing the national anthem Majulah Singapura. These video clips were then spliced together by Singapore Symphony Orchestra music conductor Darrell Ang and local filmmaker Royston Tan to form Singapore's first virtual choir! 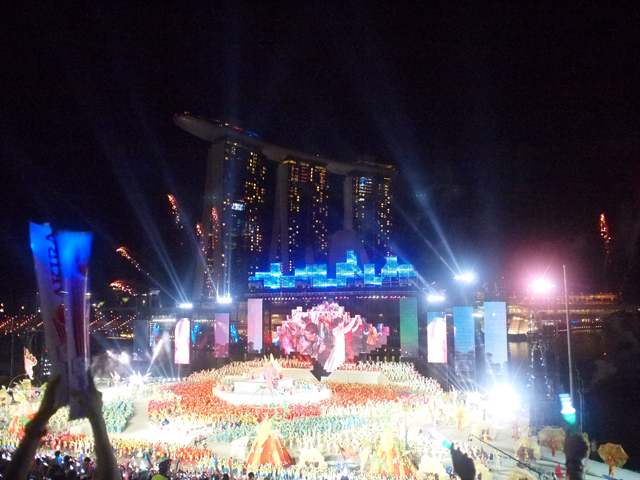 I was so happy to know that Olivia Ong is singing the NDP theme song this year. I love her vocals! "When it feels this right, you know that it’s love at first light." Of course, everyone's favorite part of the parade is the fireworks! It was such a magical and high moment for us. 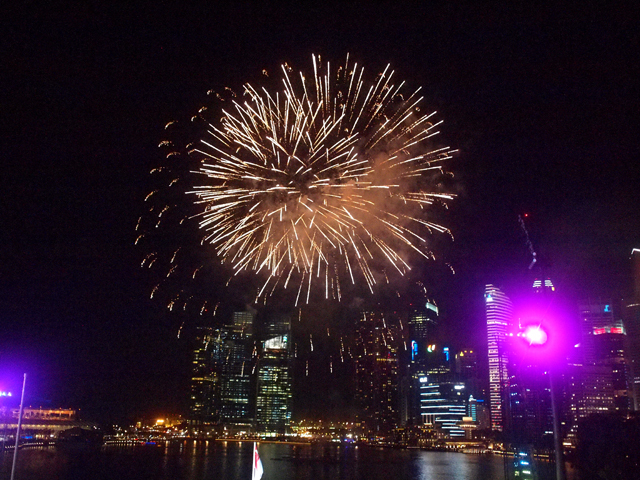 We were cheering on and on and on as the pretty fireworks burst in the sky.